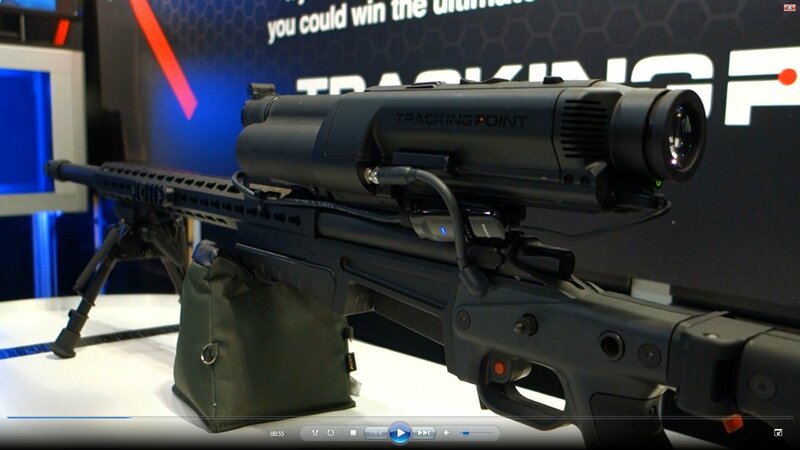 TrackingPoint XactSystem Precision Guided Firearm (PGF) Sniper Rifle Package with Surgeon Rifle and Integrated Networked Tracking Scope/Smart Scope Explained in Detail (Video!) | DefenseReview.com (DR): An online tactical technology and military defense technology magazine with particular focus on the latest and greatest tactical firearms news (tactical gun news), tactical gear news and tactical shooting news. All photo and video content contained in this article was shot by DefenseReview.com, and is copyrighted. DefenseReview.com owns the copyright on all photo and video content. All DR photos and videos were shot with a Sony Cyber-shot RX100 (DSC-RX100/B) Digital Camera with 20.2 MP (20.2-megapixel) still camera and 1080p HD video camera capability. 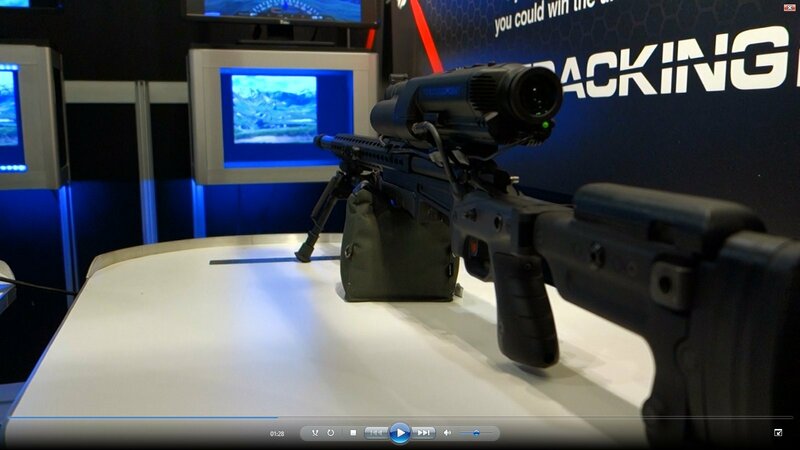 The TrackingPoint XactSystem Precision Guided Firearm (PGF) sniper rifle system was the first product DefenseReview (DR) reported on from SHOT Show 2013 because of how important we believe the technology to be. In our opinion, it represents the future of long-range interdiction (sniping), and is a potential game changer for infantry warfare, including urban warfare. Anyway, the original video footage DR shot was range video, but we subsequently shot significantly more detailed video footage at the Tracking Point booth on the exhibition floor, and we're glad we did. Bret Boyd was kind enough to spend some time with us really detailing the Xact System. 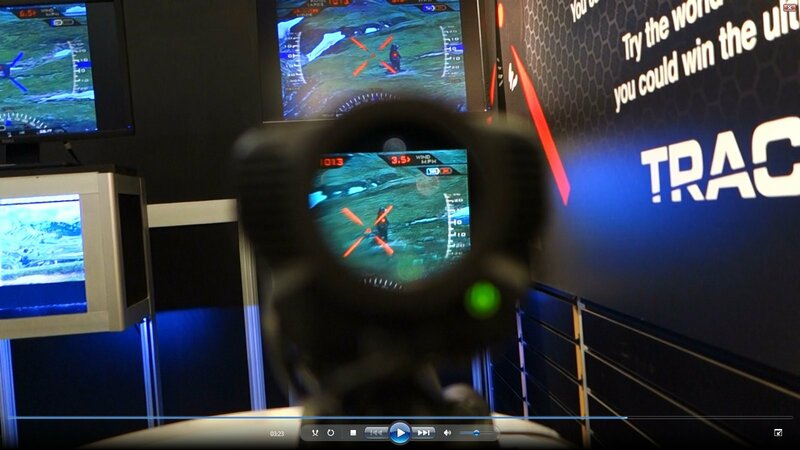 In the second video (Part 2), listen to what Mr. Boyd says about the XactSystem PGF scope's predictive image processing engine and Barnes XactShot precision ammo (XactShot Ammunition). Bushmaster .338 Lapua Magnum MCR (Multi Caliber Rifle): Semi-Auto .338 Lapua Magnum AR Anti-Materiel/Sniper Rifle for Long-Range Interdiction. Will it live?